In recent years, there has been a lot of controversy in regards to charter schools and whether or not they are beneficial. Unfortunately, it’s nearly impossible to get an accurate comparison of the different types of education available, since there are so many variables to consider; such as funding, student diversity, location, economic issues, cultural issues, and other factors. According to The National Education Association, there are three main issues that opponents of charter schools are concerned with. Many opponents feel that charter schools take money away from public school systems. They also feel that charter schools are able to “cherry-pick the best students” and turn away students who they don’t feel would be a good fit. Lastly, opponents feel that charter reviews every few years do not provide enough accountability to ensure that the schools are properly and effectively teaching the necessary material. While supporters agree that there is an element of truth to these complaints, they feel that the benefit of charter schools is that they are able to set high academic standards for admission, but are also able to design their missions around working with troubled students or raising the grades of students with academic problems. Given the controversy over charter schools, educators who teach at these facilities are often more exposed and visible as far as risks go. This is why Professional Liability is such an important part of their Charter School Insurance package. 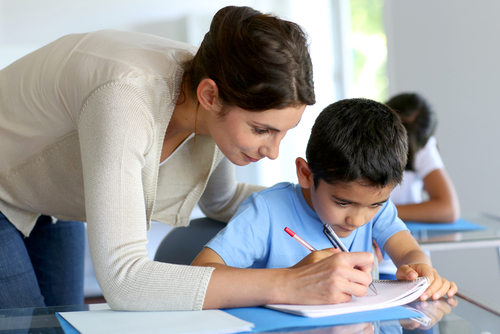 The types of liability your educator clients are faced with include claims of child abuse, inappropriate student discipline, negligence, defamation, altering or making an error with student records, and copyright infringement. In addition to obtaining a Charter School Professional Liability policy, it’s imperative that your clients ensure that their facility is well-managed. In general, a well-managed and well-funded charter school will produce good results. For more than 25 years, Care Providers Insurance Services has been offering a comprehensive, competitively priced insurance program for non-profit and social service organizations, including charter and private schools. We help keep these schools operating by safeguarding their assets, staff, and students. Please contact us today at (855) 790-7379 to learn more about Professional Liability and other coverages we offer.